This Delectable T-Bone is specially designed so a dog can have the benefit of having a toy that is b.. Specifications: Durable outdoor dog toyBuilt with a squeaker for added enticementMade with strong ba.. Specifications: Durable outdoor dog toyPerfect chase and catch toySoft, flexible yet durable flierSo.. Specifications: Soft yet durable toy for dogs available in multiple colorsBright colors and filled w.. 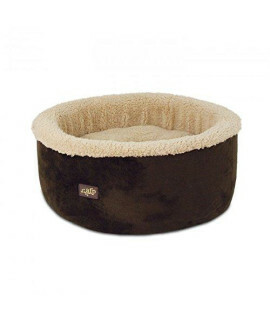 Specifications: Cozy and warm lambswool bolster bed^Provides a great cuddle spot for your dog^Reinfo..
ALL FOR PAWS Curl and Cuddle Cat Bed, 16", BrownAll for Paws provides quality pet goods, safe materi..
All for Paws Classic Squirrel Pet Toys, Small	The All For Paws Classic Line is a.. Specifications: All for paws classic pheasant, smallSoft and plush toy for dogsSqueaker inside adds .. Specifications: All for paws classic rabbit, smallSoft and plush toy for dogsSqueaker inside adds ad.. Specifications: Durable dog toy that is great to use in the waterBright orange colorMade of safe, du.. Specifications: Great dog toy to help keep them cool on summer daysFill with water and freezeCool ge.. 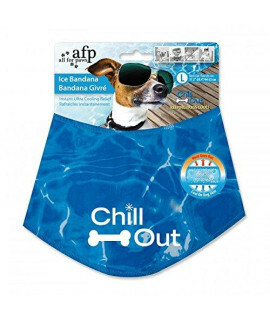 Specifications: Chill out ice bandana for dogsKeeps your dog cool during those hot summer daysFeatur.. Specifications: Durable dog toy that is great to use in the waterBright green colorMade of safe, dur..
All for Paws Assorted Lamb Cuddle Soccer Ball for Dogs, 6-In.. Specifications: Soft, faux fleece cuddle toyFeatures an inner squeaker for added enticementGreat che..